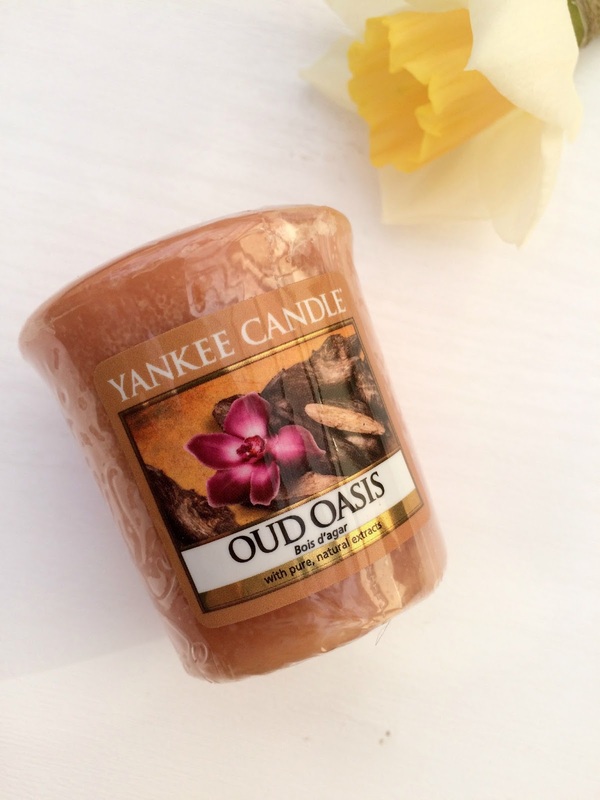 Anyway onto Oud Oasis, Yankee describe the scent as rich and seductive, with prize incense helps to set a luxurious calming mood, and I would say that was true, I have not really smelt anything like it before but it is defiantly a soft relaxing scent great for layering as its not to overpowering I'm currently burning it with a vanilla candle and the 2 work together perfectly giving off a slightly sweet yet calming fragrance, perfect for burning during the day or evening and would work great in the bathroom when a relaxing bath was in order. Of course being Yankee the votive size burns for upto 15 hours so at £1.80 are an affordably way to try new fragrances or to buy scents to layer and burn together. Have you any Yankee candle recommendations?